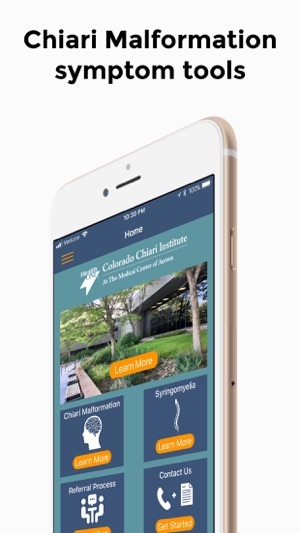 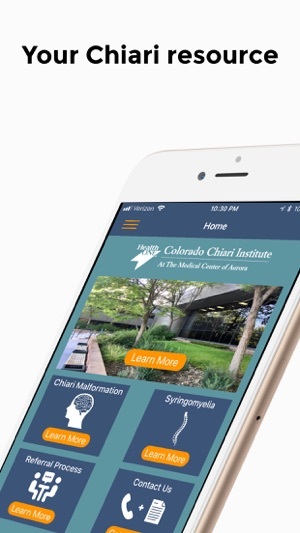 One of only a few centers of its kind in the region, the Colorado Chiari Institute presents an app that puts tools in the hands of those suffering from Chiari I Malformation, Syringomyelia, Non-Chiari Syringomyelia and Tethered Spinal Cord. 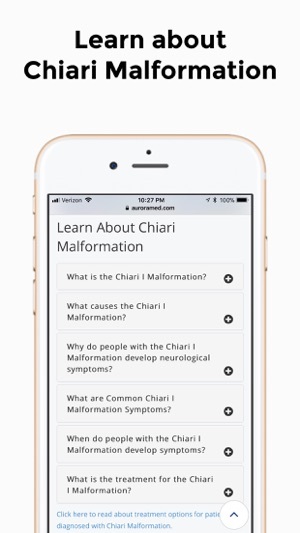 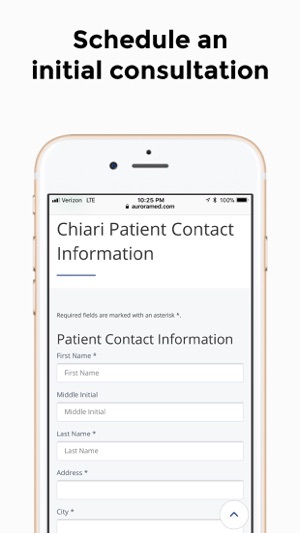 The app provides resources dedicated to the evaluation, care and treatment of patients that have been diagnosed with Chiari I Malformation and related conditions. 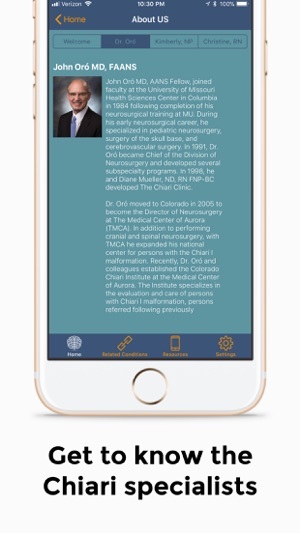 We concentrate on educating not only patients, but also their families, about these rare neurological disorders.